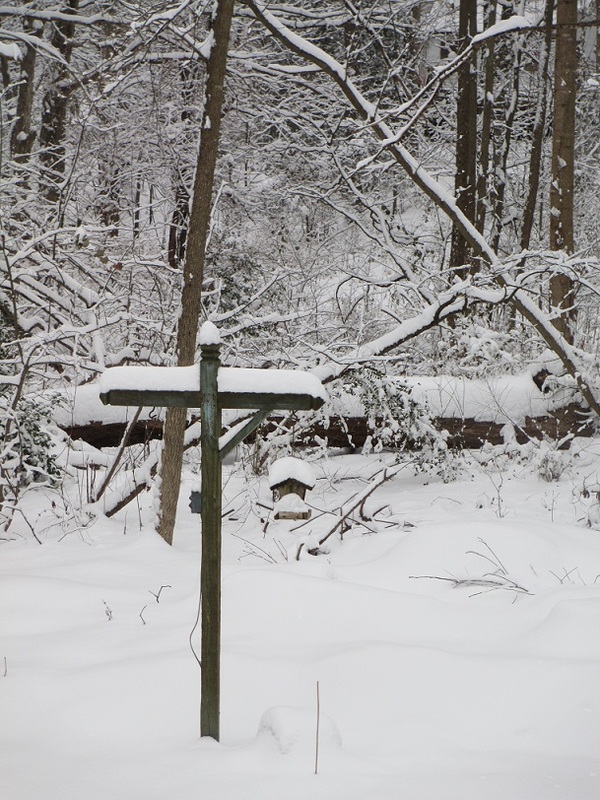 This entry was posted in Travel, USA and tagged back yard, snow, Virginia, winter. Bookmark the permalink. I hope that’s true! (warmer weather) March can be brutal at times. In like a lion, out like a lamb–let’s hope it holds true. I’m also hoping for warmer weather in March with lots of sunshine! So serene ~ We’ve had no snow this year in my part of the world. Not that we have tons, but even higher up the Sierras are lacking. I would LOVE to see some before it’s too late this year. The views from my deck during a snowfall are indescribable. Lucky you! I thought that this snowfall was so pretty and it’s already starting to melt… It’s nice to see once or twice a year! Longing for spring here now! I feel the same way – a little snow is fine but warm weather will be wonderful! The snow maze in the trees makes beautiful photos. 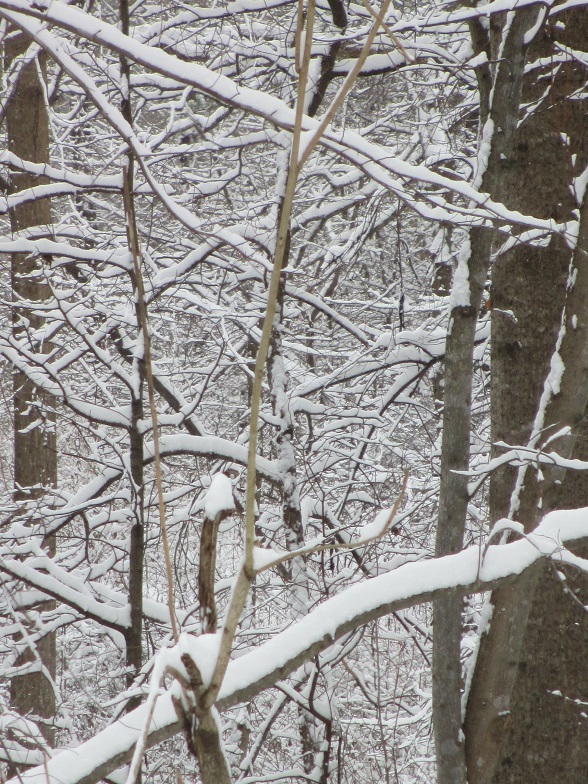 Thank you – the snow made the trees and branches look so interesting! We haven’t gotten much snow here so it was pretty. It’s already melting so I’m glad that I could get some pictures as souvenirs! Freshly fallen snow is such a pleasure to view out the window. These are pretty shots, Meg. I love the stark beauty and contrast of the winter landscape – nature’s black and white. That’s a good description Marlene – it’s a very dramatic contrast! The snow made everything look fresh! I thought that it would be interesting to see the contrast with a black and white picture. Today it is much warmer and a lot of the snow has melted! In my perfect world I would wake up one morning to see snow on my deck and in the trees… but it would still be 70 degrees F (21C) outside and the next day all traces would be gone! I really like that scenario – snow for a day and no shoveling required! It was a perfect day to stay indoors and admire the scenery. I hope that spring gets here soon – and then it will be time to go to Italy! That’s what I like about fresh snow too – it just sparkles! Looks like real winter! Wonderful photos. Thank you – everything was very pretty under a blanket of snow. It looked like winter for a few days! Thank you Jake – I really appreciate it!! Oh goodness! Definitely time for daydreaming/planning, Meg :) The Italian Lakes are wonderful. You will have the best time! Italy — love, love! Visited in November and am already dreaming about the return! Enjoy!